Leonardo da Vinci ranks amongst the greatest of the old masters and his huge range of talents marks him out as a true genius of the Italian Renaissance. In addition to his legendary painting skills, he was also a renowned thinker, inventor, architect and scientist. Leonardo was born in 1452; the illegitimate son of a Florentine noble and a peasant girl, Caterina, from Vinci. His upbringing is still shrouded in mystery, but in 1472 he became a student of the eminent painter, Verrocchio. Leonardo instantly impressed his teacher, and so much so that Verrocchio soon gave up painting and allowed Leonardo to continue this side of the business. In 1481, Leonardo moved to Milan, where his remarkable range of skills rapidly became evident. He was introduced to the local Duke primarily as a musician, and Leonardo himself believed that he was a designer of machines of war who also painted a little. During this period his notebooks were full of designs for flying machines, fortifications, waterways, and tremendous biological sketches. Many of his ideas were way beyond his time, and he actually fulfilled few of his innovative ideas, but he almost single-handedly fostered the image of artists as thinkers. Leonardo was unique as a great master in that his painting seems almost to be an afterthought, rather than a primary concern. 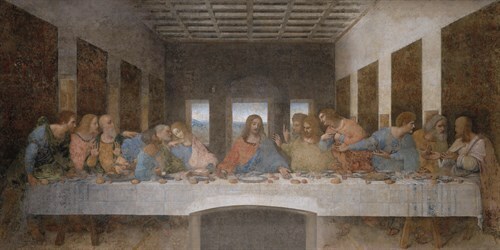 During Leonardo's time in Milan he completed the wall painting of The Last Supper, the fabulous Lady with an Ermine, and an altarpiece of the Virgin of the Rocks. From 1500 until 1516, before he left Italy for France, Leonardo's life was unsettled and he regularly moved. The first six years of the sixteenth century found his greatest artistic output, with his portrait of Mona Lisa, the hugely influential Battle of Anghiari, and The Virgin and Child with St. Anne. In 1516 he moved to France at the invitation of Francis I, where he died three years later at the age of sixty-seven. 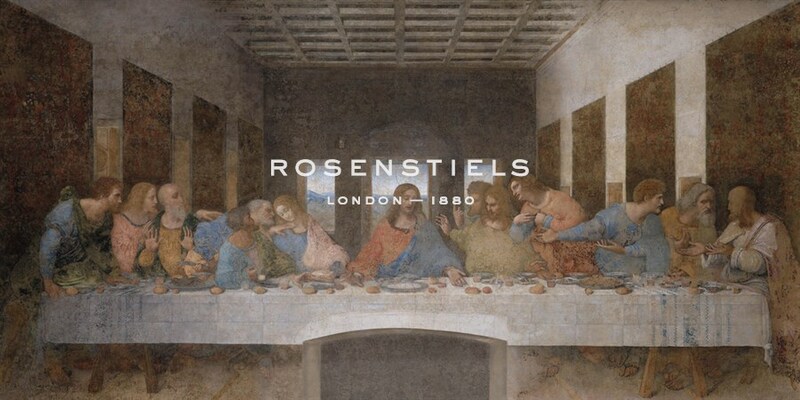 Leonardo's influence is legendary. He was a central pillar of the Italian Renaissance, his work profoundly affecting his two great contemporaries, Michelangelo and Raphael. His painting was perfectly balanced, and he was amongst the first Italians to experiment with oils. His writings on paintings were legendary, even before the collected works were published in 1651. His sculptures were innovative and precise, and his ideas have filtered down through the centuries to such an extent that he might truly be called the most famous artist of all time.